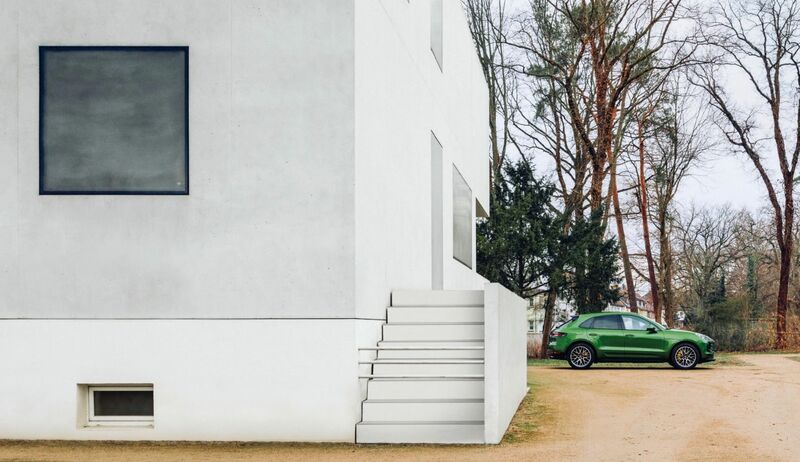 In this double interview, Michael Mauer, head of Style Porsche, and Boris Friedewald, Berlin-based art historian and author, discuss the impact a century of Bauhaus has had in every area of design. 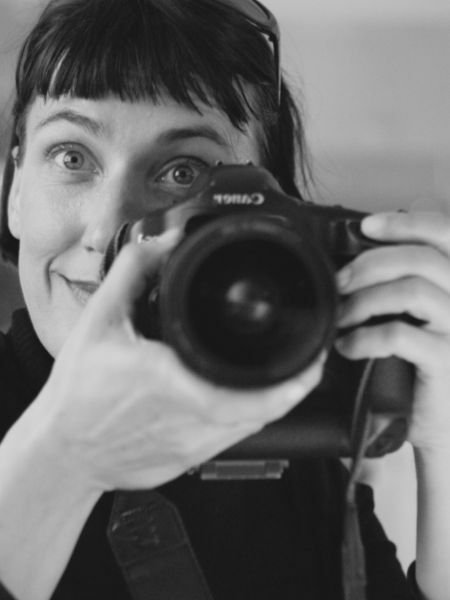 Born in Bochum in 1969, Friedewald has written a number of successful publications on the Bauhaus. 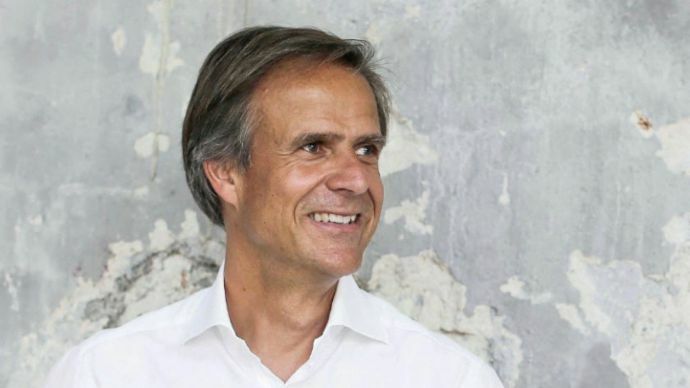 Michael Mauer, born in 1962, heads Porsche’s design division and is also in charge of Group Design at Volkswagen AG. Mr. Friedewald and Mr. Mauer, do you still recall your first encounter with Bauhaus? 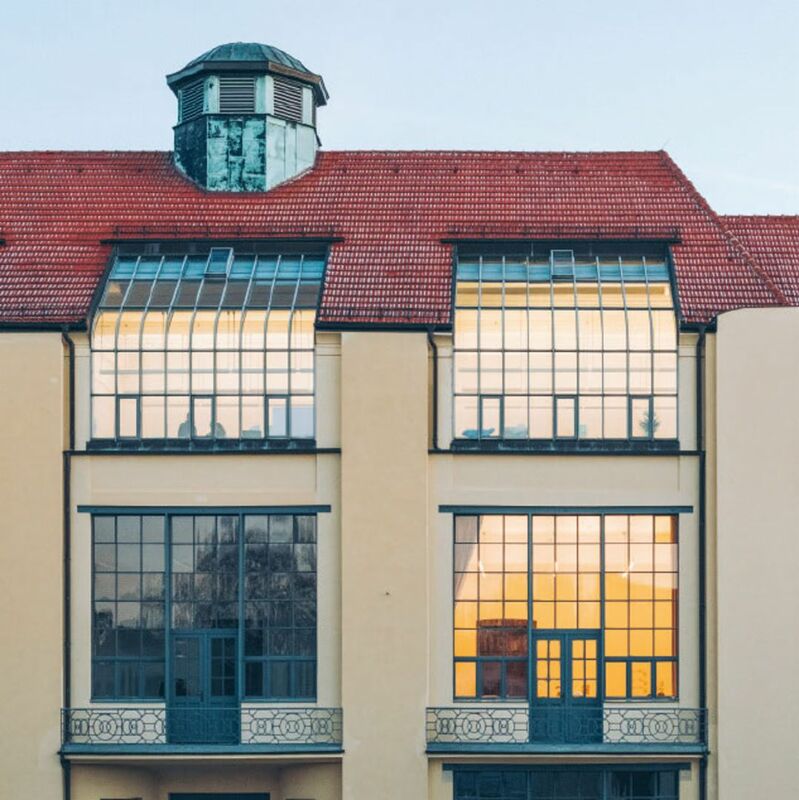 Designed by Walter Gropius, the main building of the Bauhaus movement was an instructional facility opened in Dessau in 1926: shown here are the glass-fronted workshop wing and the vocational school wing. Boris Friedewald: I was an active churchgoer in my youth. Our parish church in Bochum was the work of Hans Scharoun, one of the great architects in the New Building tradition. The candleholders were designed by Wilhelm Wagenfeld, a Bauhaus instructor. There was a painting by Fritz Winter, a student at the Bauhaus Dessau who was later a leading figure in postwar German abstract art. At the time, I was highly impressed by all of this without the slightest inkling of what it would one day come to mean to me. Michael Mauer: My view of Bauhaus hasn’t been influenced by religion to quite the same degree (laughs). Although I’m certainly very familiar with the mission to integrate design into daily life. My first intensive encounter with the Bauhaus philosophy most likely occurred while I was studying at Pforzheim University. I was involved with it later on as well. Nonetheless, I find it difficult to highlight any particular example of a Bauhaus object. In my opinion, that contradicts the philosophy of this school of design, which is committed to diversity and to merging art and handicraft. To me, Bauhaus is above all a mindset, not a product. What is the significance of Bauhaus? Friedewald: It’s one of the most important projects to be found in modernism—one of the twentieth century’s most significant schools of art. As an institution, Bauhaus was only dominated for a few years by architecture, even if its founder Walter Gropius and the directors were architects. Mauer: The principle of creating things that radiate their own value is of particular importance in an era such as ours, in which the idea of using a product a single time and then tossing it out seems to be accepted without question. Sometimes I get the feeling that for many people, that’s the main objective of consumption. What three terms do you associate with Bauhaus? Mauer: Innovation. Timelessness. Honesty. 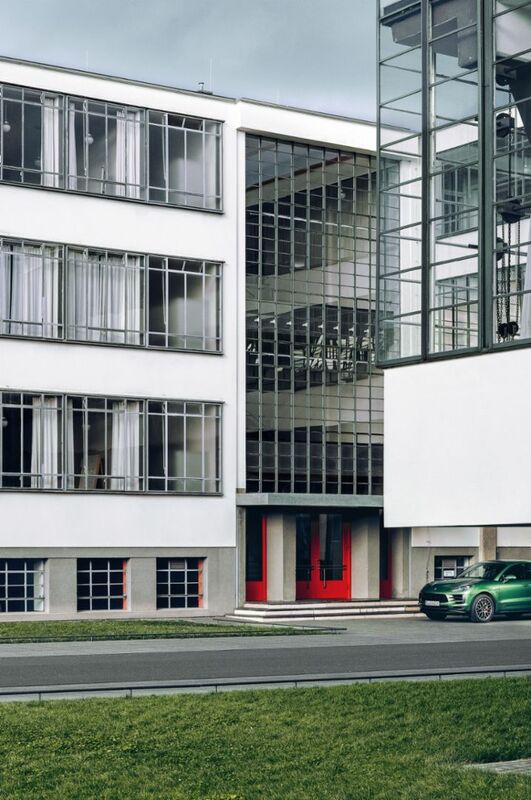 Porsche and Bauhaus share a very similar basic understanding of how products or buildings should be designed. In my view, for example, a Porsche should not give the impression of being more powerful than it is in reality. That’s why I’m always far more in favor of a return to the essentials rather than radical transformation. Friedewald: I’ll add three more characterizations: a desire for change, a love of experimentation, and a sense of community. 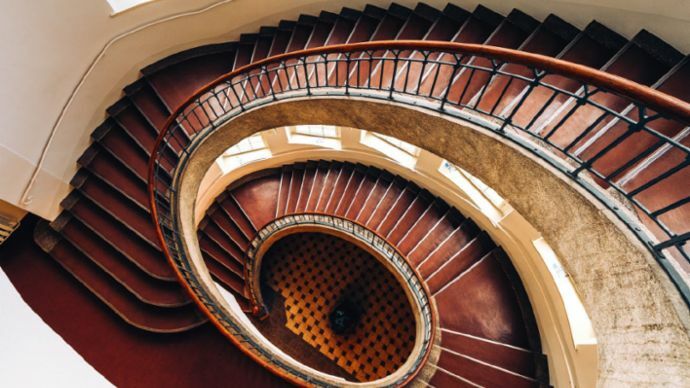 The spiraling, oval staircase of what’s now the Bauhaus-Universität Weimar still retains unmistakable elements of Art Nouveau. 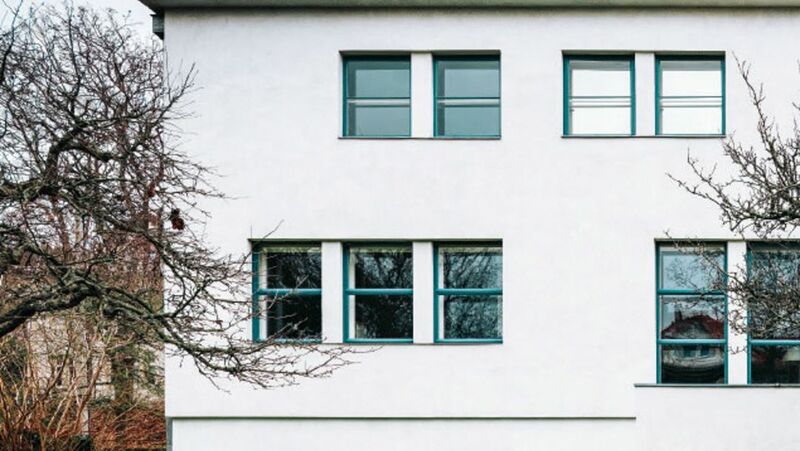 Walter Gropius’s office and the reconstructed Director’s House in Dessau represent the fine art of linearity. Is it a matter of doing things differently? Friedewald: Yes. In its infancy, Bauhaus aspired to a vaguely utopian future. What was clear was its rejection of the past, the fussy historicism, the superfluous details and ornamentation. In particular, this was the orientation of the famed Vorkurs, or preliminary course. The students were expected to discover themselves, to experiment with materials. How stable can paper be? What possibilities exist when working with metal, as achieved with the famous tubular furniture? 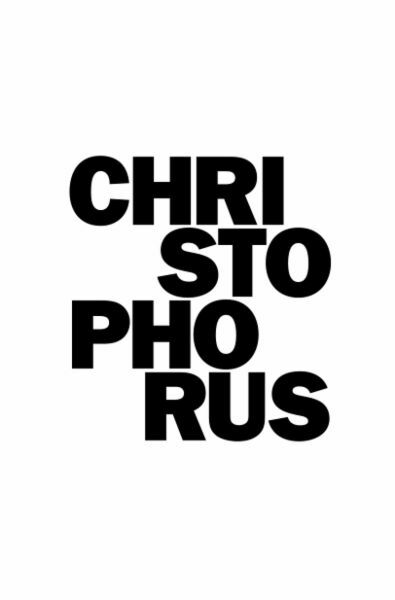 At the same time, Gropius sought to transcend the cult of the self in design. 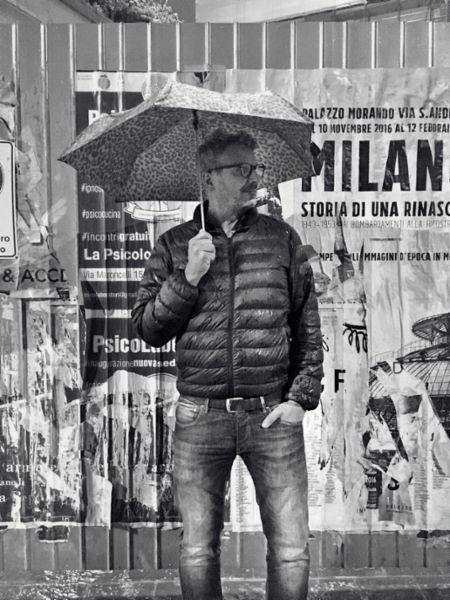 How open to risk should a designer be? Mauer: We need to be bold, of course; we need to keep our work provocative and present alternatives for debate. But the question is rather: how far are we prepared to go? Boldness walks a fine line between being different just to be different and being different in order to be better. But how do we define “better”? It has often happened that a design created with the utmost boldness has not met with success on the market. Mauer: Not necessarily, even if beauty is said to be in the eye of the beholder. Friedewald: Following the early expressionist period, Bauhaus saw itself as a “pioneer of simplicity” and was thus a reflection of its era. That’s because the economic situation of the 1920s also necessitated cutbacks and restrictions—both in architecture and in design. Did the topic of mobility play a role in the Bauhaus movement? Friedewald: The concept of motion and speed most certainly did. Gropius said that in his eyes, the good shape of a car or airplane was like a work of art. And he designed his Bauhaus school in Dessau so that it would cut a fine figure if you flew over it as well. It’s not just a rectangular block. The school is composed of differently weighted elements, which from above add up to an asymmetrical, geometrically interesting shape. A car was never designed at Bauhaus. Why is that? Friedewald: The primary focus was on the essentials. At the time, that meant a house, a chair, a table, a cup. 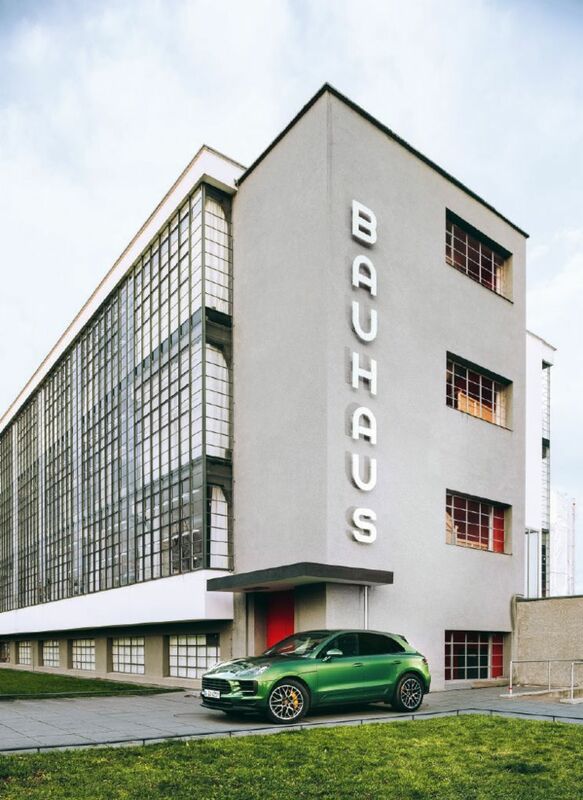 Only one person at Bauhaus owned a car, and that was the director, Walter Gropius. And only the master’s house in Dessau had a garage. But Bauhaus student Werner Graeff did in fact create an initial design for a compact car as early as 1923—very modern-looking, even from today’s perspective. It never progressed past the design stage, however. Radical and consistent: that’s how the reconstructed director’s house in Dessau interprets the Bauhaus style. Surrounded by traditional villas, Haus Auerbach in Jena seems out of place. Today, university students in Weimar sit where the Bauhäusler once created their designs. Porsche stands for one-of-a-kind design. What links to Bauhaus do you see? Mauer: Timelessness, without a doubt. Even today, you’ll run across tubular furniture by Ludwig Mies van der Rohe and Marcel Breuer in elegant lounges. Wagenfeld lamps epitomize style in the twenty-first century just as they did in years past—and there’s a Porsche 911 parked in front of the house. Whether it was built in 1964 or 2019, this sports car is always an expression of lasting and timeless design. And with nearly 70 percent of all Porsches built since 1948 still on the road today, it’s clear that this isn’t a subjective perception. 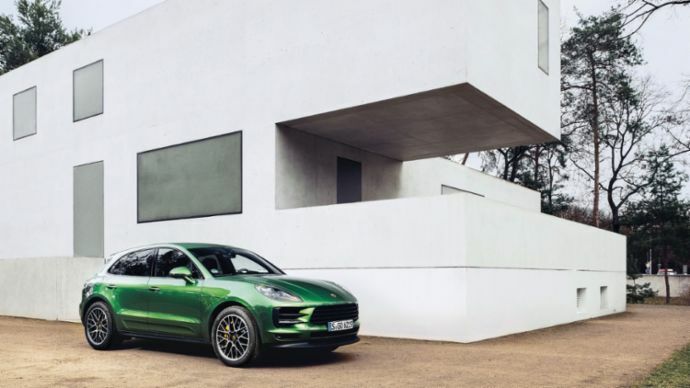 Moreover, if you consider one of Bauhaus’s core messages is “form follows function,” then we can surely say that Porsche is virtually a textbook example of this aspiration transformed into reality. Friedewald: This is even supported by historical evidence. Ferdinand Alexander Porsche studied at the Ulm School of Design, which viewed itself as a successor institution to the Bauhaus. The adoption of Bauhaus principles was particularly evident in the preliminary course: Discover your creativity! Free yourself of popular notions! See what purpose the material should be used for! Do these Bauhaus concepts have an influence on Porsche? 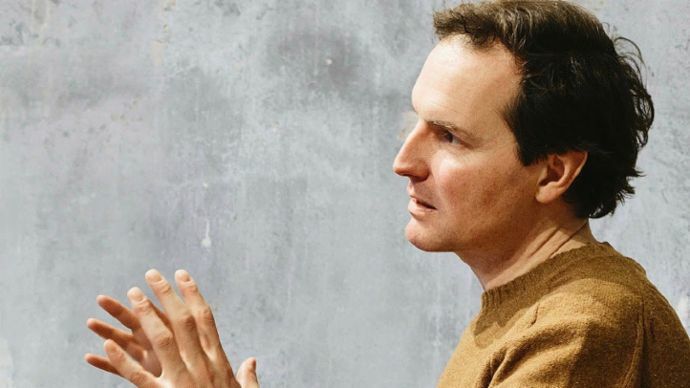 Mauer: The philosophy and strategy of our design work at Porsche is greatly inspired by the Bauhaus concept. Then there’s our innovative strength and technical progress, concepts that significantly shaped the atmosphere and objects of the Bauhaus. Honesty in product design represents yet another bridge between Dessau and Zuffenhausen, a point that has been typical of the Porsche brand from the very first model: what you see is what you get. Where and to what extent do we encounter Bauhaus today? Mauer: In every pencil, in the dishes that we use in the cafeteria, but especially in how we evaluate design. Bauhaus has become part of our collective consciousness. At the same time, I think that the following conclusion is important: design cannot be assessed outside of its temporal context. Friedewald: That’s true. If you think of Bauhaus as a mindset, you can find many a product these days that’s the result of this approach, with carefully considered and appropriate materials—as well as products with highly innovative materials. The Director’s House in Dessau is one of the ensemble of Masters’ Houses built there. It suffered extensive damage during the Second World War and was only restored a few years ago. Are there parallels between the Bauhaus era and our own? Mauer: From a designer’s perspective, without the year 1919 there could never have been a 2019. But history doesn’t stand still; it marches on. And it doesn’t repeat itself. In that regard, I don’t see any one-to-one similarities between that time and our digital age. However, what does link the present to the Bauhaus concept is the desire for change. Disruption is a major aspect of current developments in the automotive industry. We designers have an advantage there, because we’ve been able to give a decisive boost in this area over the course of last twenty years. This has made it possible for car brands to differentiate themselves more clearly and build up strong identities. Design as a message. A design vocabulary as an expression of identity. Friedewald: I do in fact see parallels between then and now—although with a different focus. The reason is that many of the questions that concerned Bauhaus teachers and students are still with us today: the housing shortage, social issues, interdisciplinary approaches, appreciation of craftsmanship. The Bauhaus had utopias. That was the driving force of this school. What utopias do we have today? Digitalization, perhaps? How would the Bauhaus have responded to this technology? Friedewald: Bauhaus was always open to technical advances. Art, technology, and the digital world would have come together as a team. But the Bauhaus masters had words of warning for us even then: machines should serve humanity, not the other way around. Mauer: Absolutely. The importance of design will become even more critical than in the past. In previous years, we’ve fought to be seen not only as creative crackpots and artists but also to show that you can achieve a lot through design. The origins of the Bauhaus phenomenon lie in the eastern part of Germany: in Weimar and Jena, in Dessau and in Berlin. A journey from Haus am Horn, the nucleus of this architectural concept, to the Bauhaus Archive, keeper of the Bauhaus heritage. Am Horn is the name of the street that leads away from Weimar’s city center and follows the course of the Park an der Ilm. On the right, Johann Wolfgang von Goethe’s garden house can be seen peeking through the foliage of the trees. Until his move to the Frauenplan in June 1782, this is where Goethe—a lawyer by training—primarily lived and worked. From this spot, he carried out his duties for the Geheimes Consilium, the highest government authority in the Duchy of Saxe-Weimar-Eisenach. And here too, he wrote the larger part of his literary works from this period, including the ballad “Erlkönig” (1782) and the poem “To the Moon” (1778). From the park one can see the Haus am Horn—a simple white square with a flat roof, built according to the master Georg Muche’s design for the first Bauhaus exhibition in 1923. 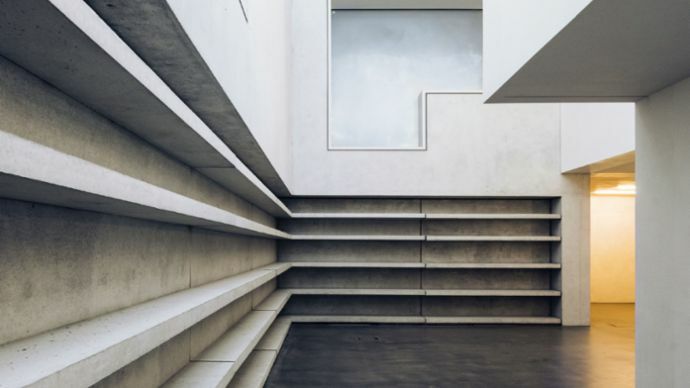 He called it his “dream house,” and his plan was to live with his wife, Else, and their children in this space measuring exactly 12.7 × 12.7 meters; that was not to be. Three years earlier, Bauhaus founder Walter Gropius had appointed Muche as a master at the Staatliches Bauhaus in Weimar. All of its furnishings were created in the workshops of Bauhaus members like Marcel Breuer or Alma Siedhoff-Buscher; the household pottery was made by Theodor Bogler. The Haus am Horn is one of three Bauhaus structures in Weimar that belong to the UNESCO World Heritage site “Bauhaus and Its Sites in Weimar, Dessau, and Bernau” and is the only building constructed entirely during the Bauhaus era. 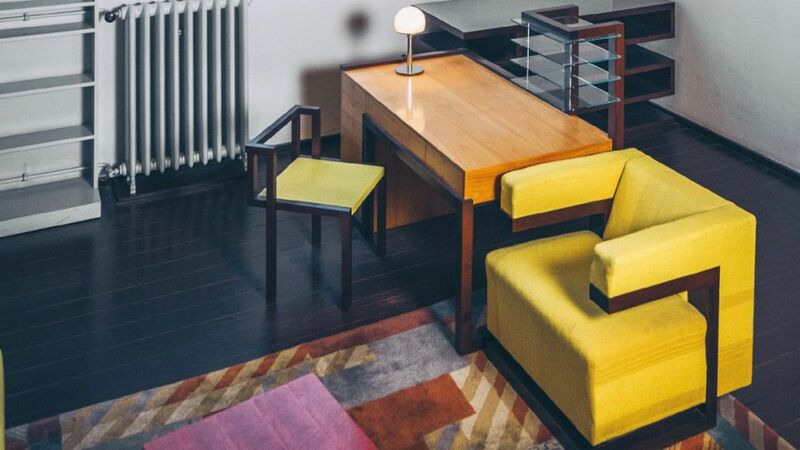 In commemoration of the Bauhaus anniversary, the Klassik Stiftung Weimar restored the house and plans to reopen it on May 18, 2019. Twenty-three kilometers further eastward through the hills of central Thuringia lies Jena. The city is in many ways Weimar’s opposite. Research and industry, rather than art and culture, take center stage. The Friedrich Schiller University, founded in 1558, and the Carl Zeiss optics manufacturer are world-renowned. In this cosmopolitan environment, the radical ideas about future-oriented domiciles quickly found a welcome audience among well-to-do residents. The first private homes in the Bauhaus style were built in 1924. Of the six villas designed and realized by Walter Gropius, two are located in Jena. Along Schaefferstraße, running parallel to the B7 highway in the western part of the city, Haus Auerbach appears like a UFO in the midst of the middle-class villas beneath the Sonnenberge hills. The design by Walter Gropius and his office partner, Bauhaus master Adolf Meyer, was commissioned by the experimental physicist Felix Auerbach and his wife, Anna. It’s comprised of two interpenetrating building blocks of different sizes. The separate functional areas are largely visible: work areas are located in the three-story structure, while the living areas are in the inserted two-story section. Just two minutes away by car, somewhat further up the slope on Weinbergstraße: the Zuckerkandl House, a villa with eleven rooms and and a hundred-square-meter patio on the flat roof. 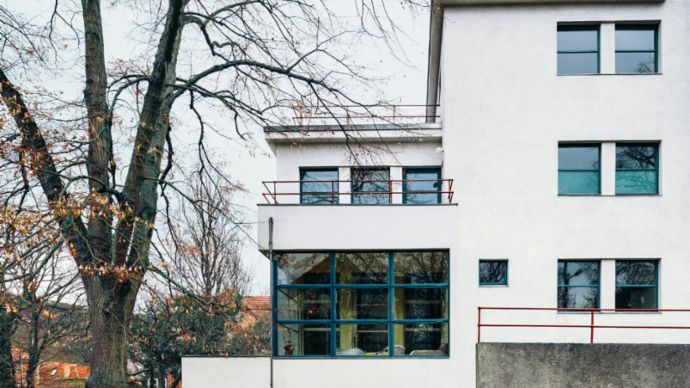 It’s named for Therese Zuckerkandl, a professor’s widow who commissioned Gropius’s architectural studio in Dessau in 1927 with the design and construction of a family residence in the Bauhaus style. The individual sections of the house are strictly geometric, with a rectangular, glazed conservatory jutting out. Around 150 kilometers north of Weimar and halfway to Berlin lies Dessau, the epicenter of Bauhaus. This city of eighty-four thousand residents is just an hour’s drive from Jena, past Leipzig, on Route A4 or A9. 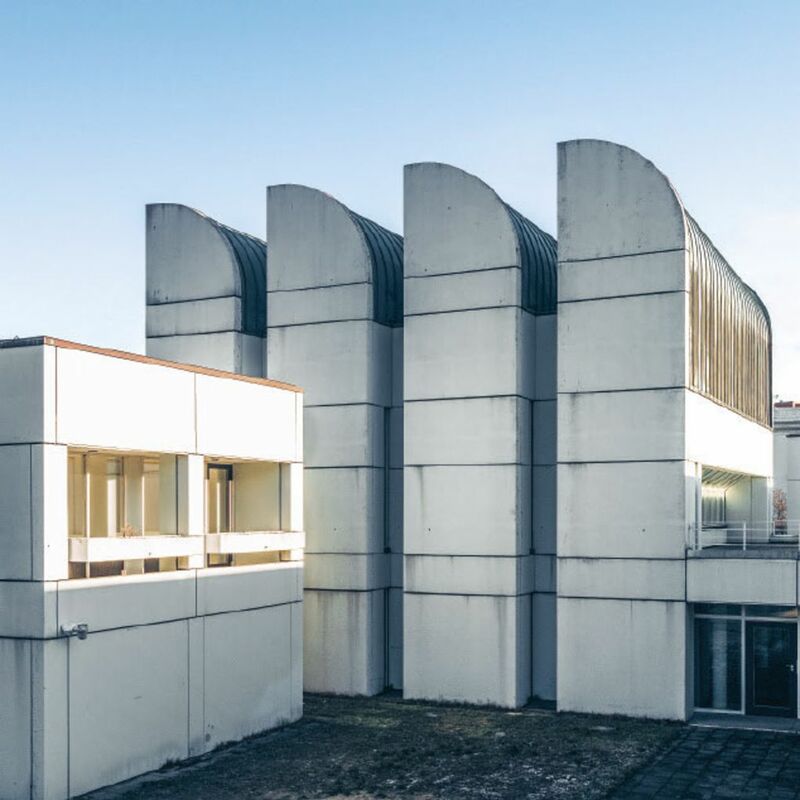 Dessau saw the blossoming of the Bauhaus movement and the creation of the distinctive Bauhaus Building, with its glass-encased wing of workshops. Here too are the Masters’ Houses designed by Gropius, loosely arrayed in a small grove on Ebertallee—icons of modernism and hence part of the UNESCO World Heritage site. 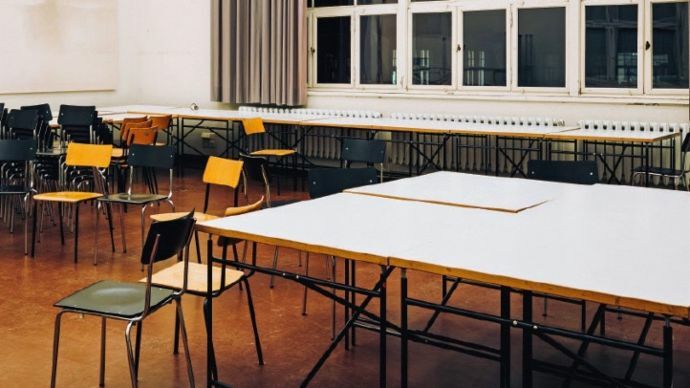 In keeping with Bauhaus principles, they provided instructors with space to live and work. That Bauhaus architecture need not be equated with cool, white structures is apparent upon entering the artist Lyonel Feininger’s former residence: walls in yellow, cobalt-blue banisters, and bright-red handrails—Bauhaus immortalized in forty colors. Berlin marks the end not only of this journey through the Bauhaus era but also, in 1933, of the modernist icon’s fourteen-year history. Ludwig Mies van der Rohe, the school’s last director, sought to continue the Bauhaus as a private institution in the German capital following its closure in Dessau in 1932. Even today, a few structures and residential areas that are still preserved recall the spirit of New Building: the AEG turbine hall in Moabit; housing developments from the 1920s such as the Carl Legien housing complex in Prenzlauer Berg, the Schillerpark residential neighborhood in Wedding, and the Hufeisensiedlung in Neukölln-Britz. Bauhaus architects designed Lemke House on Oberseestraße (Mies van der Rohe) and the Lewin House on Fischerhüttenstraße (Walter Gropius). Structures by Gropius can also be found in the Siemensstadt housing complex. The Bauhaus Archive in Berlin enjoys a special status. This building on the Landwehr Canal with its characteristic, semicircular, mono-pitched roofs was inspired by a Gropius design from 1964. The cornerstone was laid seven years after his death in 1976, and the building was opened in 1979. It’s currently undergoing renovation; the exhibition space is being expanded to include a glass tower. For the duration of the refurbishment, the Berlin museum has relocated to the temporary Bauhaus Archive on Knesebeckstraße. History is being preserved and the Bauhaus concept lives on. What first began in Weimar in 1919 has left its mark around the globe. The world’s highest concentration of Bauhaus buildings is found in downtown Tel Aviv. This district, known as the “White City,” is a UNESCO World Heritage site. The melding of handicraft and art, design that’s scaled-down and timeless: this also applies to consumer goods, such as the cantilever chairs of stainless steel designed by Mart Stam, Marcel Breuer, and Ludwig Mies van der Rohe.